The University Safety team has launched a new app for Apple and Android devices. 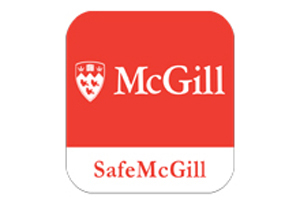 The SafeMcGill app offers a variety of safety tools and has the ability to send McGill health and safety alerts directly to your cellphone as push notifications. The University Safety team has launched a new app for Apple and Android devices. The SafeMcGill app offers a variety of safety tools and has the ability to send McGill health and safety alerts directly to your cellphone as push notifications. All you have to do is download and enable push notifications! Get more information.